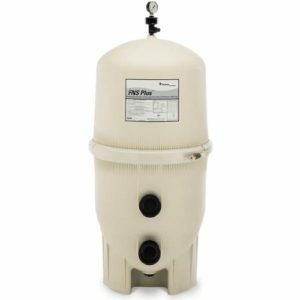 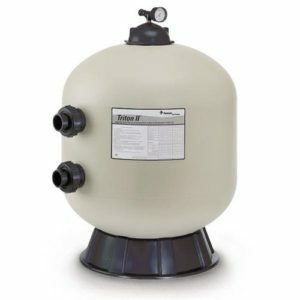 The Pentair CCP420 Clean And Clear Cartridge Filter have a corrosion resistant injection molded filter tank featuring superior strength and reliability. The cartridge assembly uses four easy to clean, non-woven, polyester cartridges. 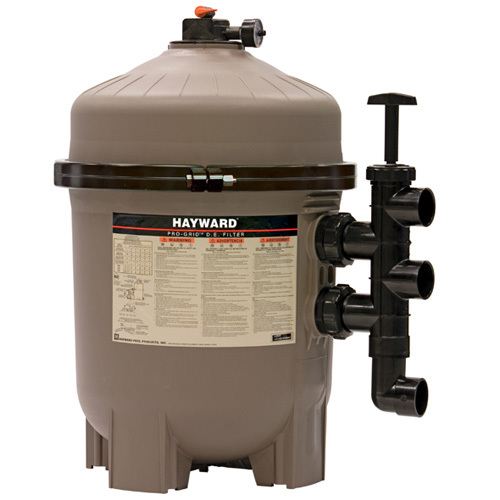 Each filter is supplied with a bulkhead union set for easy installation. 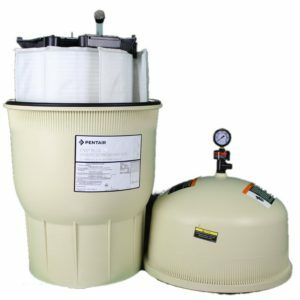 Category: Equipment, Pools. Tags: Inground Swimming Pool, Pentair, Pentair Cartridge Filter, Pentair Cartridge Filters, Pool Cartridge Filter, Pool Equipment, Swimming Pool, Swimming Pool Cartridge Filter, Swimming Pool Equipment. 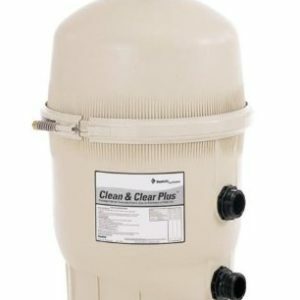 The Clean & Clear Plus filter combines top-end filter performance with low maintenance. 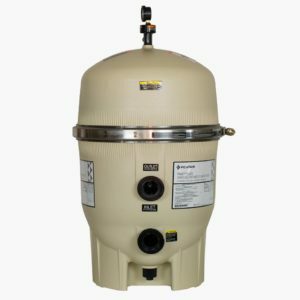 This dependable design uses special filter elements to strip tiny particles from your pool water…particles as small as 20 microns (an average grain of beach sand is 1,000 microns). 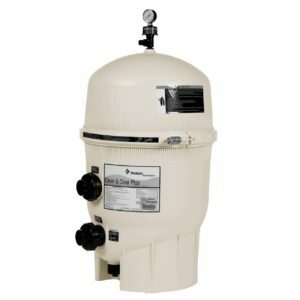 Our four-cartridge design provides maximum filter surface area to capture more dirt and extend time between cleanings. 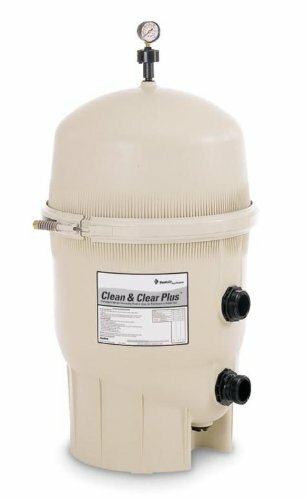 And cleaning is a snap—open the top, remove the cartridges, hose them off and the Clean & Clear Plus filter is ready to go again.